But has Apple knocked Psystar offline already for EULA violation? A new online Mac vendor called Psystar has gone offline just hours after announcing that it was selling Mac OS X Leopard on its own brand of desktops. 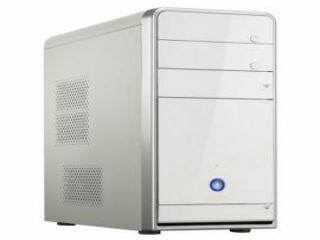 Until early Monday morning, Psystar was selling 'Open Computer' desktops that feature Intel processors, 2GB of memory, a DVD drive and a copy of Mac OS X Leopard 10.5.2 for just $554 (£227) on its website. Since then, the site has gone offline with no reason given for the closure. Although Apple has yet to confirm the rumour, most believe Psystar was shuttered by the popular manufacturer for its violation of the company's software agreement, which stipulates that Mac OS X can run only on Apple hardware. Psystar has yet to comment on its closure, but those who purchased one of its desktops before the site went offline might have a problem on their hands if Apple really is riled. According to those close to the situation, Apple will not update any version of Mac OS X that is not installed on its own hardware, but will require those users to reinstall the operating system on the company's own computers, which would render Psystar systems inoperable. Of course, should Psystar challenge Apple's restrictions, any legal success could open the Mac market to all comers, which would be good news for punters worldwide.